I love this line, and I’m sorry I’ve never seen them “in the wild”. 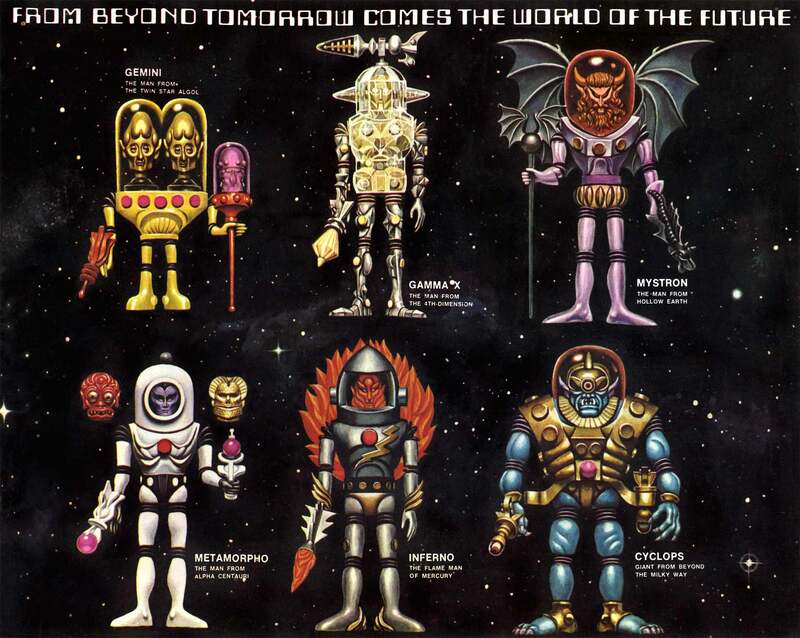 I like how “Mystron, man from the Hollow Earth” has that nice creepy 60’s-70’s occult vibe. Also note how Metamorpho foreshadowed Man-E-Faces from the Masters of the Universe line. I’ve never seen these before. Wow. Before I read the date of this art, I thought it was from the 1980s. I can see the forerunnings of the “Flash Gordon” (1980) Hawkmen in Commander Comet. And I can see something of Box from “Logan’s Run” (1976) in Gamma X. However, I wouldn’t be so keen to give the artist such props for originality. 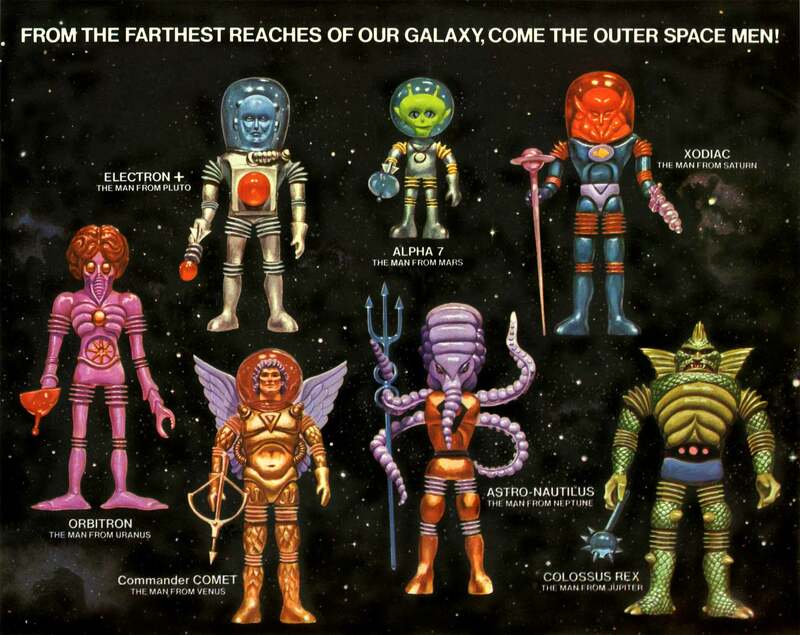 Orbitron is clearly a riff on the Metaluna Mutant from “This Island Earth.” (1955). And the head design for Gemini is ripped off directly from the Twilight Zone episode “Mr. Dingle The Strong” (1961).